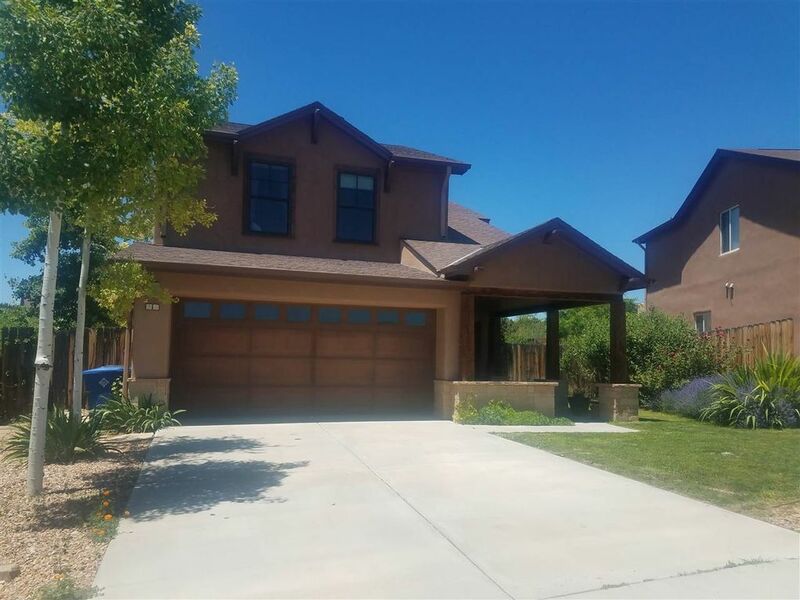 This beautiful Pinon Trails Sunflower model has a lovely covered entry leading to an open concept great room with a gas fireplace and vaulted ceilings. The kitchen is well appointed and upgraded with lyptus cabinets, tiled countertops, high quality stainless appliances including gas range, and new dishwasher. The kitchen also has a pass through to the dining area to add an open feel to the spaces. The spacious main level master bedroom suite has dual closets and quality finishes. There are 3 additional bedrooms and a full bath upstairs. The home has Central A/C to keep you cool in the summer, and in-floor radiant heat to stay warm in the winter. Ceiling fans, Pella windows and high quality blinds also help to make this home very comfortable year-round. Larger than expected backyard has a beautiful composite deck for relaxing outside, plus a nice grassy area for play. Designated open space in front of and behind the home make this home feel open and spacious. This home has so much to offer, schedule an appointment to check it out today!